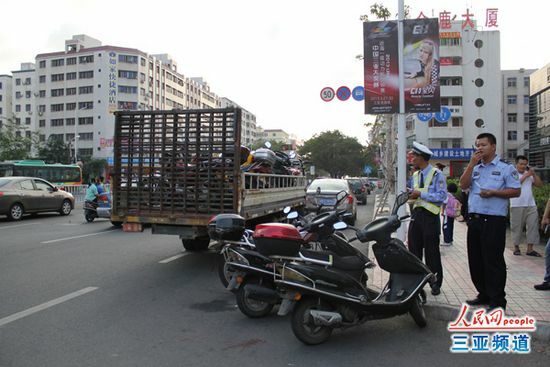 Policemen in Sanya have confiscated motorcycles caught on major roads following the implementation of new regulations last Friday. Starting from March 15, local police have been enforcing the new regulations which bar motorcycles from four regions in the downtown area along with two road sections, and better manage the e-bikes across the city. On that day alone, the police confiscated 116 motorcycles driving in the restricted areas. The results of new rules on motorcycles are not expected to be immediately obvious in just a few days, but gradually will become plain to see. “We still now see some motorcycles on the city’s major roads, but their number will be gradually reduced to achieve the goal,” said a local policeman. 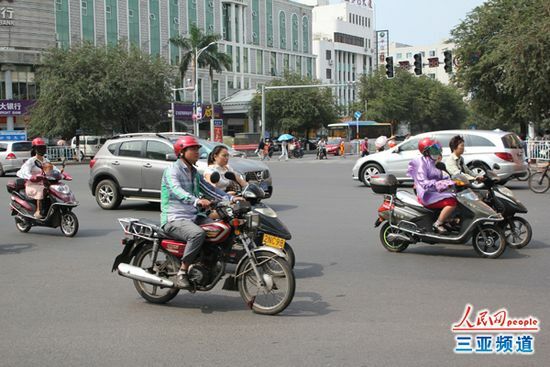 An official of the Sanya Public Security Bureau said the limitations placed on motorcycles were designed to result in higher efficiency in the city’s transport network. The surge in the number of motorcycles over the past five years poses a threat to the city’s smooth traffic flow. What’s more, in 2011 and 2012, motorcycles were involved in almost all of the traffic accidents in the city.